The Badger's 10k road race took place on Sunday 26th of August at Atherstone, Warwickshire. It was a scenic, undulating course taking runners on a route around local countryside and through the Merevale estate, in heavy rain and cooler temperatures, which suited Matt Pleass as he was the first Ivanhoe runner across the line with his time of 39:16 and 13th position overall. Andrew Stanley came through next in 43:13, followed by Andy Jeyes in 46:19, showing no signs of slowing down with another age category win. Patrick Horn was close behind with 46:49, with Richard Bebbington coming in at 48:15. 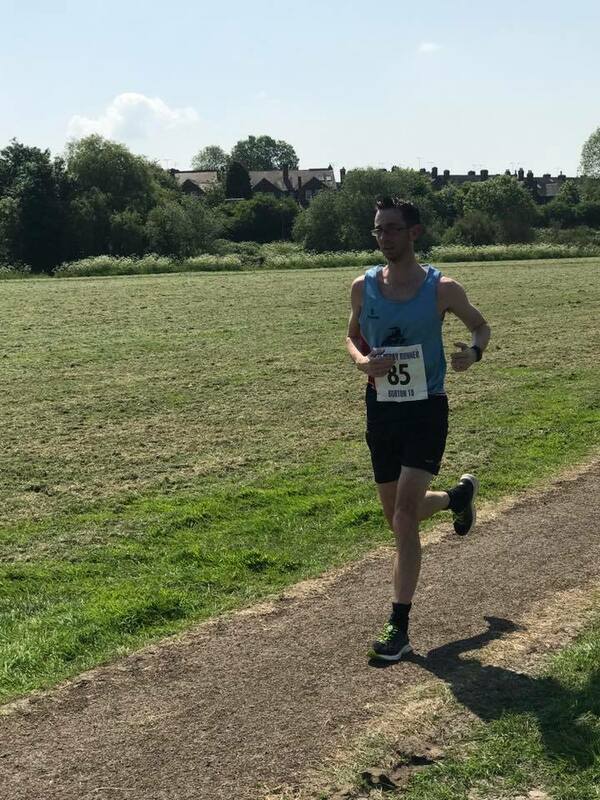 Robert Briers clocked 51:24 in his debut 10k in the sky blue vest. Sally Jeyes came in as first female V60, and first lady Ivanhoe finisher in an excellent 56:35. Gemma Shaw had a strong run to finish in 56:53, ahead of James Hammond in 57:18. Finally Kim Harris and Marie Miller helped each other up the hills, both finishing in 1:10:32.